Description: Associates In Psychological is a business categorized under psychologists, which is part of the larger category offices of health practitioners nec. 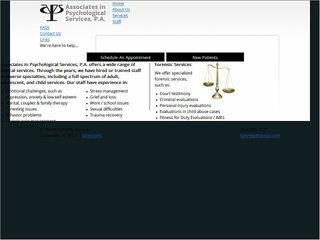 Associates In Psychological is located at the address 25 North Doughty Avenue in Somerville, New Jersey 08876-1811. The Owner is Steven E Weitz who can be contacted at (908)526-1177.